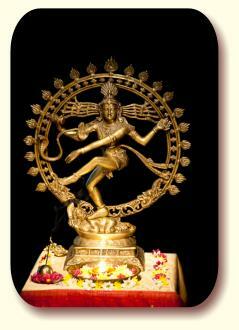 Bharata Natyam originated in the southern Indian state of Tamil Nadu. The dance started 2000 years ago as a tradition of temple dance. This dance is characterized by a variety of aspects such as head, eyes and neck movements, footwork and hand gestures. The name ‘Bharatanatyam’ is derived from the three basic concepts of ‘bhava’ (emotion), ‘raga’ (music) and ‘thala’ (rhythm). ‘Bha’, ‘ra’ and ‘tha’ syllables form ‘Bharata’ and ‘Natyam’ means dance. Nritta – Pure dance movements that do not convey any mood or meaning. In Nritta, the emphasis is on pure dance movements, movements for their own sake and creation of patterns in space and time. Natya – Dramatic representation or drama. The themes generally come from mythological stories. Natya is the visual painting that the dancer draws to get the story across to the audience. Nritya – Combination of Rhythm and Expression. Nritya conveys poetic meaning with the help of expressions, rhythmic gaits and postures. In ancient times, Bharata Natyam was performed by ‘devadasies’ (female servants of god) and called ‘dasiatam’. Under the British rule, propaganda prevailed against Indian art, treating it as immoral and inferior to the concepts of Western civilization. The reputation of the devadasies and their dance was in decline. Thanks to the legendary Rukmini Devi Arundale this old and forgotten dance tradition were revived. In 1935, late Mrs. Arundale founded a dance college for Bharata Natyam called ‘Kalakshetra’ in Chennai. Bharata Natyam started as a dance in the temples and has now become a professionally respected and internationally acclaimed dance form.